Posted by Jonathan Bird on Tuesday, May 22, 2012. 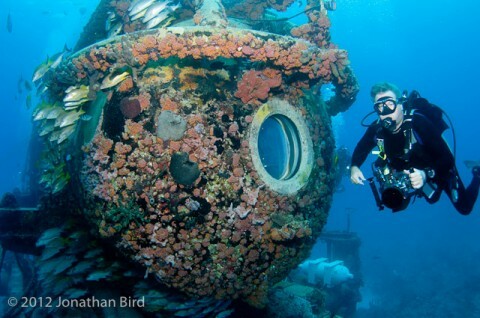 The Aquarius Reef Base is the world’s only underwater research lab where the scientists live in saturation for extended periods of time. 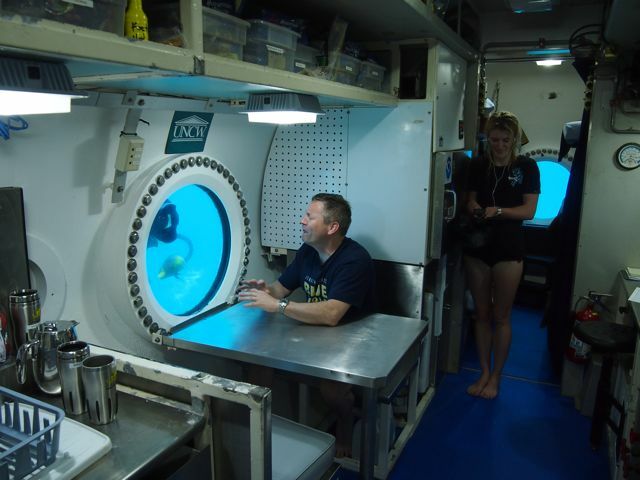 Like an underwater space station, the “aquanauts” eat, sleep, and dive from this base on the bottom of the sea for a week or more at a time. By being “saturated” with nitrogen, they can go out diving for hours at a time without having to worry about decompression sickness, because they do not return to the lower ambient pressure of the surface after a dive. 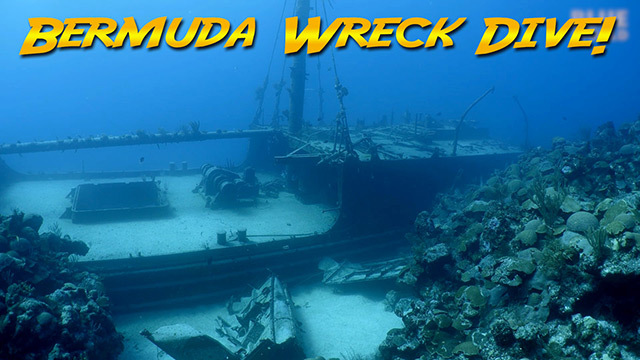 Instead they return to a habitat at about the same pressure as the dives they did. Then, at the end of their mission, the aquanauts undergo one long decompression to return to the surface. 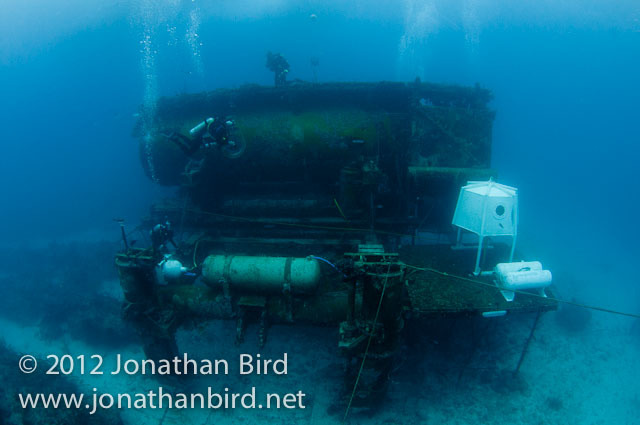 It’s no secret that I have been dreaming about visiting the Aquarius Reef Base for many years. In the mid-1990s I proposed doing a whole film about the Aquarius, but couldn’t find the funding. 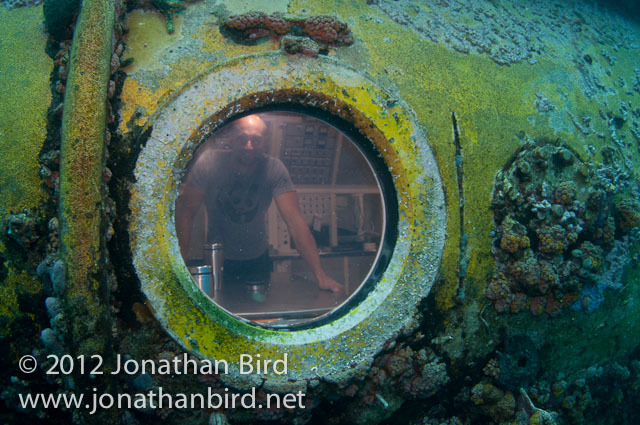 Fortunately for us, the nice people at Aquarius agreed to allow the Blue World team access to the habitat for a few days during a recent mission, so we could make an episode about how they use this incredible tool to study the ocean, and what it’s like to live inside an underwater lab! The crew ("Cameraman Tim" Geers, "Editor Tim" Howe and our intern from the Our World Underwater/Rolex scholarship program Megan Cook) and I arrived in Key Largo and headed over to mission control to meet Tom Potts, the Aquarius Director and Otto Rutten, the Science Manager. After a thorough briefing and signing a whole lot of forms and waivers, we made a plan to meet in the morning to join the support boat that goes out every day during a mission. We would not only film daily activities such as delivering food and supplies, making small repairs and checking on the LSB, but join the support divers and make a visit inside the Aquarius! The next morning we arrived early at the dock and met the rest of the team—Jonathan Knaul, James Talacek, Tim Bruce, Jason Nunn, and Stephen Groover. 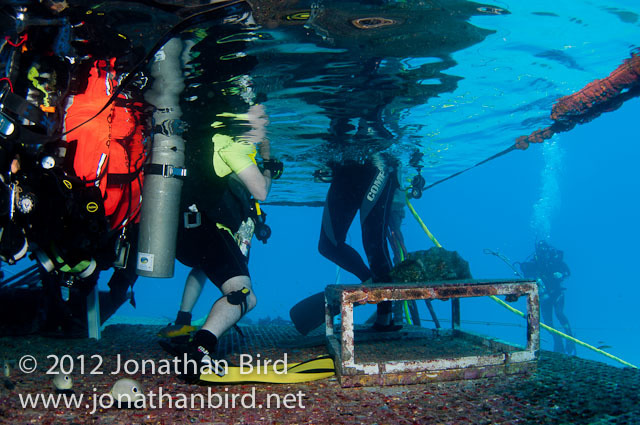 These guys—all divers as well as having various technical backgrounds—use their skills to keep the Aquarius running. Our first dive of the day was to go inside the Aquarius. The biologists were all out diving on the reef, so we would have time to get a tour from Mark “Otter” Hulsbeck and Brad Peadro, the two technicians in saturation along with the divers. I eagerly put on my gear and then followed Jason down to the habitat. We went though a large “slot” on the side of the Aquarius and popped our heads up into air! Brad was looking down and welcomed us to Aquarius. 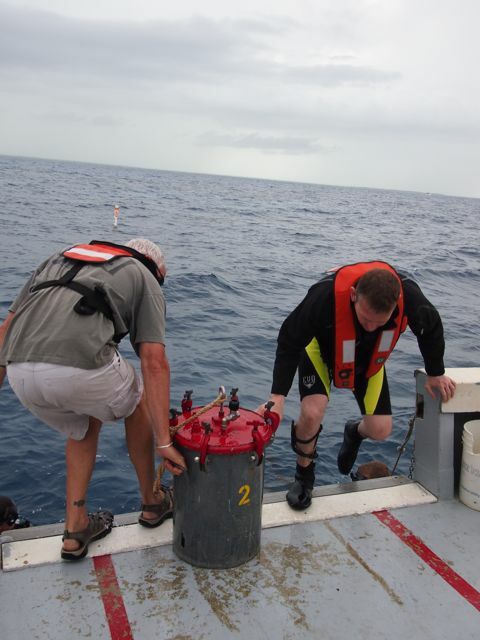 We took our gear off and laid it into racks that kept it halfway underwater. It’s important that cameras and dive computers that are at surface pressure inside are not brought into the air environment of the habitat, as air has a way of getting past the seals. This would pressurize the inside of camera housings to 50 feet equivalent pressure, and would cause them to expand and potentially leak or rupture on the way back up! I walked up the steps into the room referred to as the “wet porch,” took a shower and dried off. The wet porch is hot and humid, but the rest of the habitat is cool and air conditioned, so we don’t want to get it all wet and salty. Then they opened the door and I went into the main lock of the Aquarius. One of the first things I noticed is that my voice sounded funny. The higher pressure of the air causes your voicebox to behave differently and your voice is slightly higher. When I mentioned that to Otter, he told me to try whistling. I have been whistling since I was a kid, but I couldn’t do it. After a while I figured it out, just requires changing your technique slightly. The higher air density makes all kinds of things weird. We brought down a sealed bag of candy that looked vacuum-packed because it was so compressed! 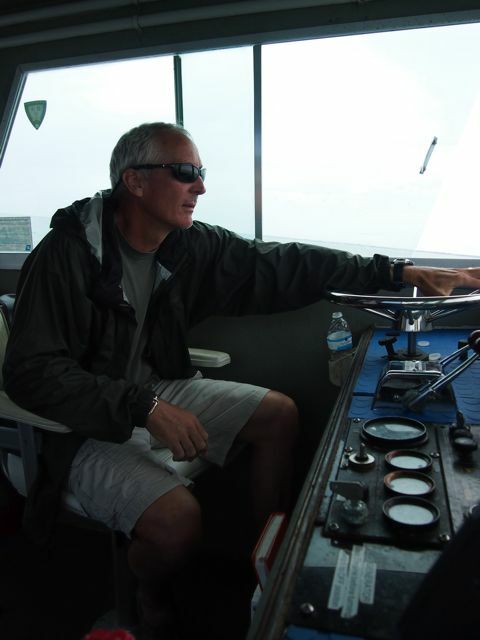 Over three days, we visited the Aquarius three times, and did many dives around the habitat. We met with the scientific team and did an interview. (Many thanks to Lindsay Deignan, John Hanmer, Steve McMurray and Inga Conti-Jerpe for taking some time to talk with us about their research on sponges.) Our segment is visually stunning and about the closest thing to science fiction we have ever filmed (until we get to film underwater on another planet). We came away really impressed with the effort it takes to make this “inner space station” work and the dedication and talent of the crew that runs it. Now if I can just figure out a way to get them to let me in for a week! For more pictures, see our album on Facebook.